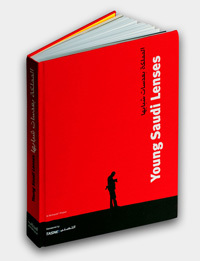 It is rare to walk into a bookstore today and find books of Saudi modern art. Rarer still to find collections celebrating the youthful creativity and rich diversity of Saudi artists and their work; conceived, developed, designed and printed here at home. With its new collection of highly original and passionately designed titles covering painting, photography, poetry and more, all appearing from the outset of 2011, Al Mohtaraf hopes to participate in making the change. Whatever the subject matter, our growing list of publications shares a distinctive style and quality of production; our hope is not just to document the art as never before, but to stimulate the imagination of each reader, be they casual fans or life-long devotees of the arts.